Where do our candidates stand on China and the West Philippine Sea? As the campaign season kicks into high gear, several issues, scandals and assorted gossip have hogged the headlines, while other equally pressing matters have dropped out of view. For example, there is the question of Chinese expansion into the West Philippine Sea. As we focus on a wide range of domestic issues, the Chinese military has not let up in its encroachment upon Philippine territory, at least as we define it in our Constitution. How will the incoming presidential leadership deal with this burning issue? First, some context. It is well known that continental China has long coveted the islands, features and surrounding waters within its so-called “nine-dash line”—an area as inexact in scope as it is ambiguous in its limits. This amounts to claiming maritime sovereignty over 90% of a major world-shipping route. 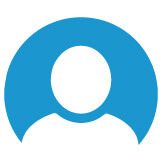 They have placed permanent installations and altered features there, attempting to establish “facts on the ground” that will solidify their claims. Meanwhile, the US military has long regarded Chinese expansion as a threat to its hegemony in the Asia-Pacific, but has been reluctant to challenge the Chinese militarily, given the inter-dependence of the American and Chinese economies. Other ASEAN countries—with the notable exception of long-time Chinese ally, Cambodia—have tried, but largely failed, to check Chinese ambitions through ASEAN consensus. (Here Filipinos would do well to laud Indonesia, which has recently played a leadership role by encouraging ASEAN countries to be more proactive in asserting their concerns vis-à-vis the South China Sea. It should be remembered that these two archipelagic neighbors—the Philippines and Indonesia—proposed the “archipelagic doctrine” in the late 70s, which granted archipelagos a 200-mile exclusive economic zone or EEZ). It’s not hard to see how all this affects the Philippines. 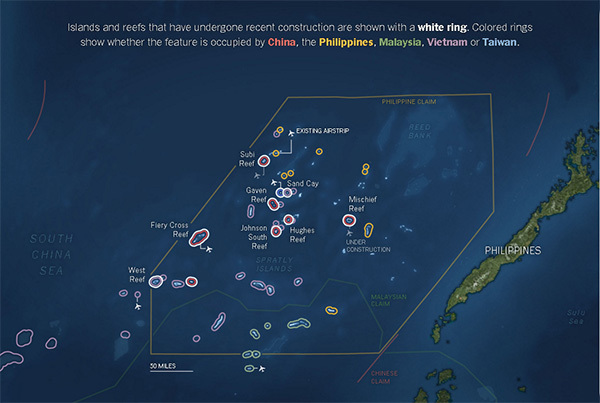 Chinese occupation of the West Philippine Sea is in direct violation of our EEZ, as defined by UNCLOS, otherwise known as the United Nations Convention on the Law of the Sea, of which both the Philippines and China are state signatories. The Chinese daily deprive our fisher folk of their livelihood and block the country’s attempts at developing our sea resources. In the conflict over the West Philippine Sea, the stakes could not be higher, not just for the Philippines, but also for many other countries in the region and the world. The next president will have to grapple with defending our archipelago and dealing with Chinese expansion in the context of a volatile global economy. And they must do so in a global arena with multiple and over-lapping interests, including two of the world’s largest military and economic powers. Under PNoy, the current administration has sought to pursue a legal course in the international arena. In October of last year, the Permanent Court of Arbitration at The Hague handed the Philippines its first victory. They ruled that, despite China’s “non-appearance,” the Court did indeed have jurisdiction over the conflict under UNCLOS. China has refused to abide by any international arbitration, preferring instead to deal bilaterally with its much weaker neighbors, hoping—as it has in the past—to divide and conquer to its advantage. But the recent ruling of the Permanent Court opens the path for further legal challenges and possible international sanctions against China’s latest quest for maritime (arguably neo-imperial) power. 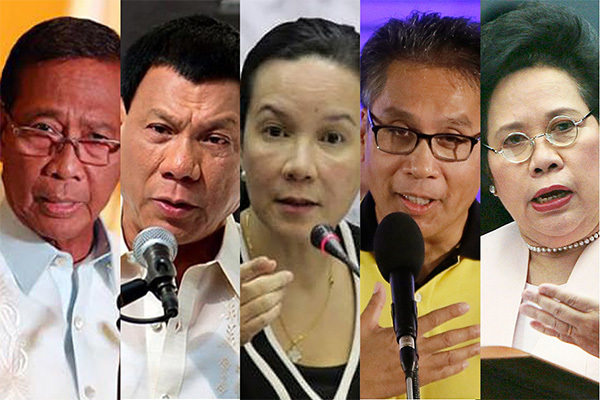 Given the global, national and regional complexities surrounding the West Philippine Sea, what course will our presidential candidates navigate? Who will paddle, swim or drown? 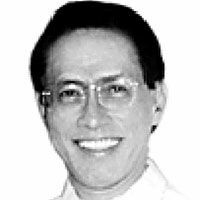 Mar Roxas and Grace Poe are continuity candidates. They are most likely to support, continue and follow up on a favorable court decision, with actions supporting the authority of international conventions in keeping with the Aquino administration’s. Roxas has been doing his homework for the presidency since 2008. Speaking before an audience in Masinloc, Zambales—where the effects of China’s claims are strongly felt by the fishing community—he echoed the administration’s strong stance, saying “What’s for the Philippines should remain in the hands of Filipinos. We will defend what is ours.” Working for several years as an investment banker in New York before ceding the LP presidential nomination to Aquino in 2009, he served as a cabinet secretary over two major departments, giving him further experience at high-level executive leadership. His experience in foreign affairs, however, remains limited. Though her citizenship issues with the Commission on Elections and the Supreme Court presently leave her status as a candidate open to question, Poe, though independent, aligns fairly closely with the Liberal Party. 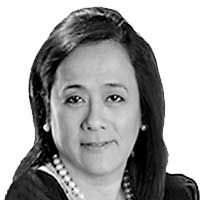 She supported Aquino’s decision to file the arbitration case and, like Aquino, she believes the maritime dispute needs to be isolated from the country’s deeply rooted relations with China. However, Poe has even less background in foreign relations than Roxas. Before her incompleted Senate term, she had no government leadership experience beyond chairing the collegial Movie and Television Review and Classification Board. 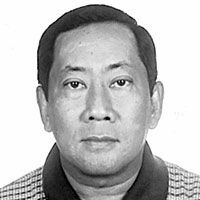 Surveys this long before an election are tricky, but according to recent Pulse Asia and Social Weather Stations surveys, Vice-President Jojo Binay could end up being the one who would manage the outcome of the tribunal case in the next administration—a prospect that dismays both Aquino and the LP. He diverges from the current administration’s policies in many ways and has been critical of its relations with China. Binay questions Philippine pursuit of our West Philippine Sea claims through UNCLOS-based arbitration, preferring instead “warm” bilateral relations with China, especially in trade and investment. On the one hand, he seems to approve joint ventures with China to develop natural resources in the West Philippine Sea (which suggest the strong possibility that China would be the dominant party); on the other hand, this appears to contradict his position favoring a binding Code of Conduct on the South China Sea between ASEAN and China (which would ultimately favor a multilateral arrangement). 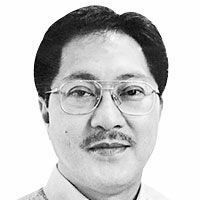 Though he has served a full term as vice-president, his foreign affairs experience remains largely symbolic, limited mostly to OFWs, arguably containing more elements of publicity than of substance. Besides his time in the second highest elective position in the land, his government service has been marred by dynasty and corruption issues, although those charges remain inconclusive. Another controversial dynastic mayor is Rodrigo Duterte of Davao City, who has become a staple of news media reports by boldly taking self-contradictory stances—running as an heroic defender of law and order while simultaneously expressing support for vigilante death squads. Depending upon his mood or audience, he, like Binay, prefers bilateral talks with China over the maritime dispute, saying that a non-confrontational and less formal approach to China would be more effective in coming to an agreement. This kind of grandstanding goes over well enough with potential voters but hardly constitutes sound foreign policy—even when explicitly acted out. During the Ramos administration, Durterte notoriously burned the Singaporean flag in Davao because that ASEAN neighbor rebuffed a presidential appeal to postpone the execution of Flor Contemplacion. Whatever level of popular passion that act might have elicited, it accomplished little, and hardly counts as experience in foreign affairs. The remaining candidate, Senator Miriam Defensor Santiago, is in fact the one best equipped to deal with the West Philippine Sea dispute. Santiago is a recognized legal expert and judge, and was the first Asian from a developing country elected to the International Criminal Court. Unsurprisingly, she supports the arbitration case—but diverges sharply from Aquino administration policies on many other counts. She led the unsuccessful Senate battle against the implementation of the Enhanced Defense Cooperation Agreement (EDCA), adhering to the doctrine that US military presence equals a compromise to our sovereignty. Since the Philippine Supreme Court upheld EDCA’s constitutionality with finality earlier this year, it remains unclear whether Santiago would (or could) find a legal path to rejecting US military support, while still facing the risk of defying China. It is clear, all the same, that she has upheld the Senate’s exclusive power to ratify international treaties. Having said this, her choice of Bongbong Marcos as running mate gives one pause as to the soundness of her moral and political judgment. The Permanent Court of Arbitration is now in its deliberations phase—intent upon issuing its decisions this year. We just have no way of knowing exactly when. With less than four months to go before the elections, time is of the essence, no matter what your attitudes or policy preferences might be. Voters will be swayed either way. According to Southeast Asia experts Ernest Bower and Conor Cronin—writing for the Center for Strategic and International Studies—a decision before the May elections would allow President Aquino to respond strategically, whatever the outcome might be. But if the decision were to be handed down after elections, the new administration would take charge in managing the decision—to unknown effect. Bower and Cronin contend that post-decision messaging from the Philippines and the international community will be of great significance. Since there are no formal mechanisms for enforcing the decision, that messaging will be critical. 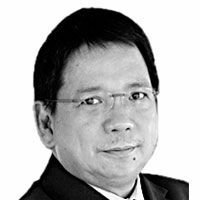 If a new administration ignores the court’s decision and pursues bilateral negotiations just as China has demanded all along, the reduced incentive for seeking redress through international law and arbitration could significantly destabilize the region as a whole, strategically weakening already militarily weak countries like the Philippines. It could further encourage Chinese adventurism and cause other developing countries to rely more on military force rather than diplomacy. Since we benefit economically from fishing and seabed mineral exploitation—as well as the unexplored riches in gas and oil within our EEZ—how we play our role on the world stage, given our geography and historic destiny, is crucial for the next administration. So much is at stake, and we would do well to study carefully where each candidate stands on this issue of vital national interest.